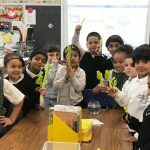 Have you ever wondered how water travels from a plant’s roots to its leaves and to other parts? 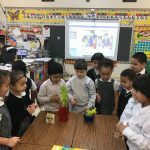 Well, the ACS Kindergarten class has the answer to that question! 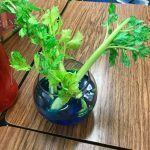 The “Can Celery Sip?’ experiment allowed the children to combine both their reading, science and critical thinking skills. 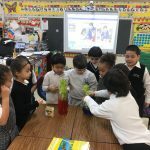 A science experiment explains an observation or answers a question by using different steps and directions to explain a certain process. It entails listening to directions and following them, meanwhile questions such as ‘what’ happens and ‘why’ does this happen allow the children to better understand the cause and effect. AND our ACS Kindergarten practices all these skills daily. 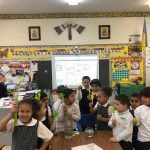 The children had both a fun and enlightening science experience!